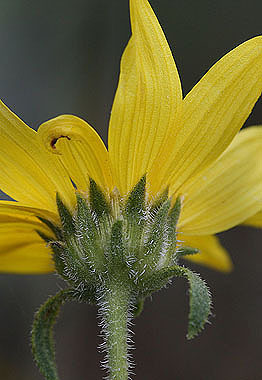 Leaves of Helianthus pumilus are opposite and have a sandpaper texture. 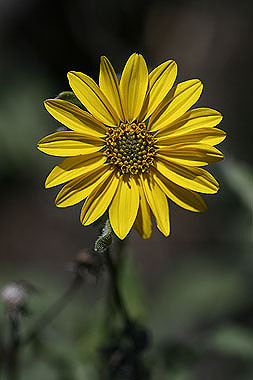 Flower heads are 1.0 to 2.5 inches in diameter. 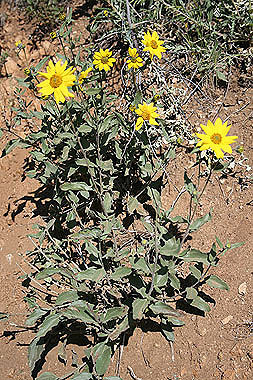 H. pumilus is common on dry hillsides.